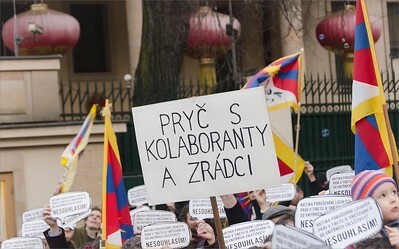 Prague, March 10, 2015 - photos from demonstration to remind ongoing genocide (at least of national identity) in Tibet; and to appeal to the Chinese rulers. 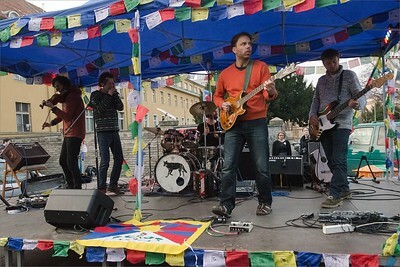 Anniversary of the brutally suppressed Tibetan Uprising 1959. 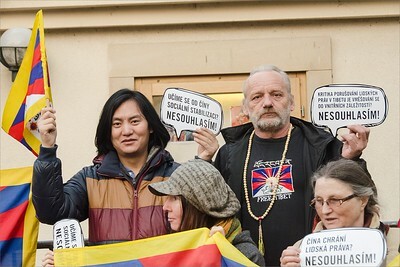 Mottos of this demonstration: "China (rule) respects human rights? We do not agree!" 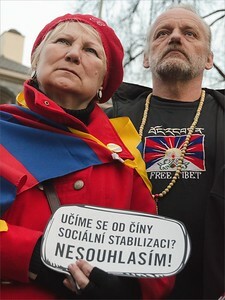 (Čína chrání lidská práva? 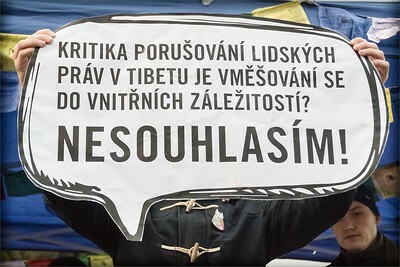 Nesouhlasím!) with more analogies, as response to recent various proclamations of some politicians with Chinese representatives. Other motto: "Burst through your bubble!" 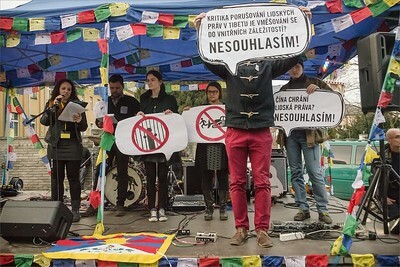 taken from Oneworld.cz film festival on human rights 2015. 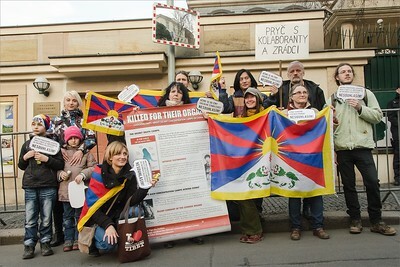 Demonstration to remind genocide in Tibet by communist China, in the day of Tibetan uprising anniversary in 1959. 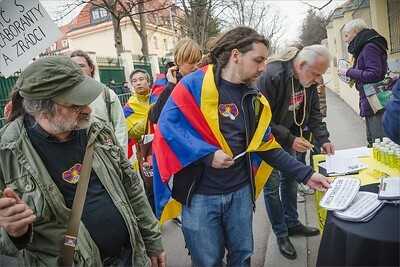 Organised by Czech Amnesty Internation. 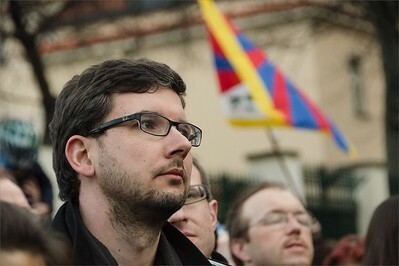 Demonstration to remind genocide in Tibet by communist China, in the day of Tibetan uprising anniversary in 1959. 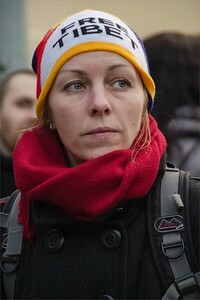 Organised by Czech Amnesty International. 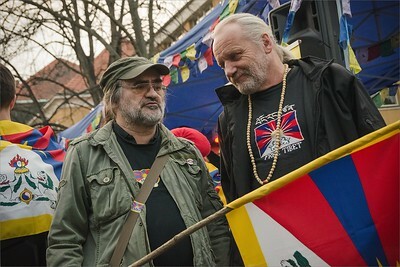 "Czechs support Tibet" bigboard with HH Dalaï Lama and Václav Havel. 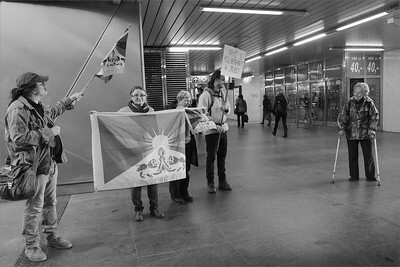 Demonstration to remind genocide in Tibet by communist China, in the day of Tibetan uprising anniversary in 1959. 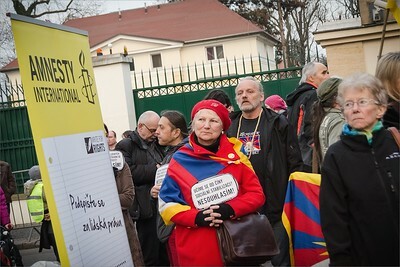 Organised by Czech Amnesty International. 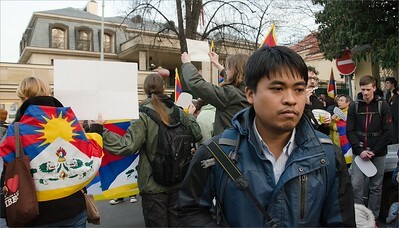 Burmese man - demonstration to remind genocide in Tibet by communist China, in the day of Tibetan uprising anniversary in 1959. 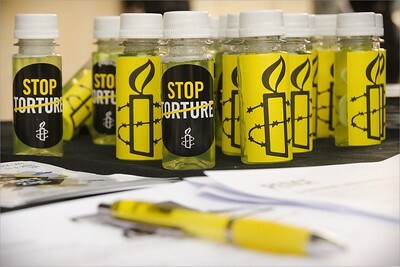 Organised by Czech Amnesty International. 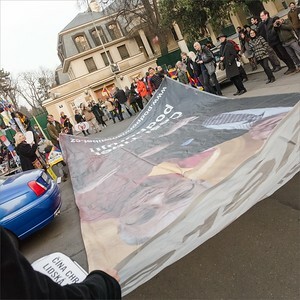 Banner: "Critique of human rights violations in Tibet is interference in internal affairs? I DO NOT AGREE! 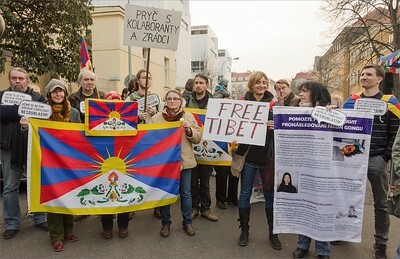 "- demonstration to remind genocide in Tibet by communist China, in the day of Tibetan uprising anniversary in 1959. 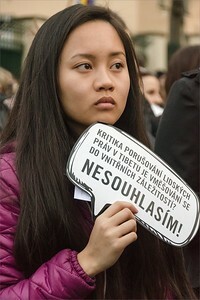 Organised by Czech Amnesty International.